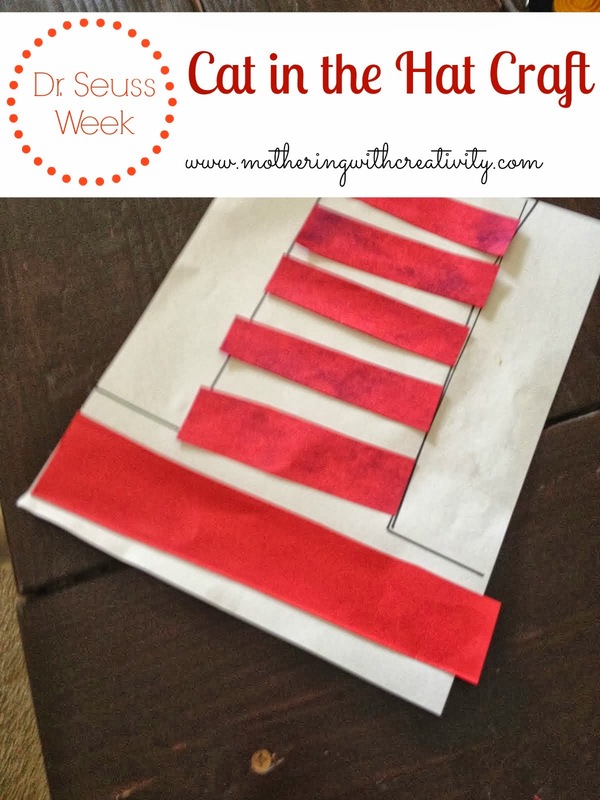 This simple Cat in the Hat craft is great for the littles. It was especially great for my 2 year old, though my 4 & 6 year olds enjoyed it, too, and were especially interested in making the lines on their hats perfect. All you need is white paper, strips of red paper, glue, and a sharpie. Trace the outline of the hat, and then give your child a glue stick and the red strips. Let him glue each strip onto the hat. That's it! Super simple. To challenge older children, you could just give them scissors and red paper to cut their own red strips to fit their hat.